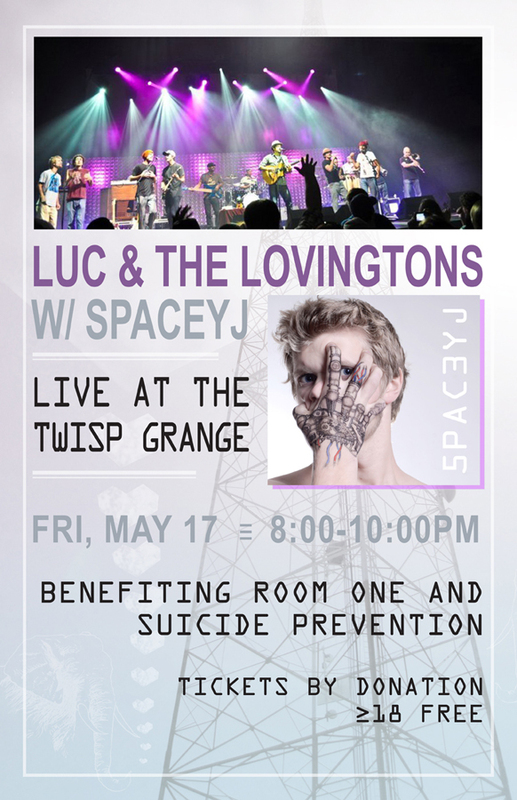 John Sinclair, as a function of his 2013 senior project, presents SpaceyJ and Luc & the Lovingtons in a benefit concert for the Room One and suicide prevention. TICKETS: Admission by donation. Free admission to those 18 and under.